The Super Bowl occurs in January when there are not many big occasions to get together for. That's why it is a good reason to party it up. Super Bowl should be celebrated by arranging a fun Super Bowl party. 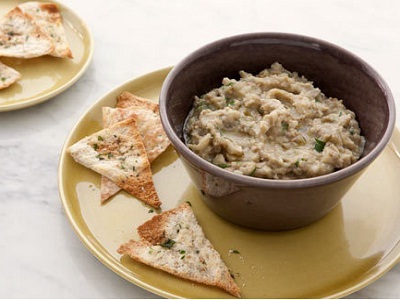 You'll crave to prepare simple appetizers for everybody to snack on while the game is in full swing. Mash the avocados, sour cream, 3 tablespoons of lime juice and the chives in a big bowl. Sprinkle salt and pepper on the avocado mixture. Spoon the mixture evenly into the bottom of a clear glass serving bowl. Form an even layer and smoothen the top. Squeeze the crabmeat gently to give off any excess liquid. 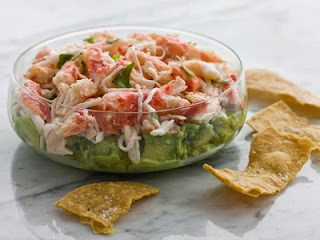 In another bowl add the sliced basil, mayonnaise, chili, pepper and the remaining lime juice to the crab meat. Sprinkle salt and pepper on the crab mixture. Spoon the crab mixture over the avocado mixture forming another even layer and smoothen the top. Cover and refrigerate the dip till it gets ready to serve. In a pan, heat some oil over medium flame. Fry the tortilla wedges until they are crisp and golden brown. Keep stirring often so that the tortillas cook evenly on both sides. Use a mesh strainer or slotted spoon to transfer the corn chips to paper towels so that the excess oil drains out. Sprinkle salt on the hot chips. Decorate with basil leaves and serve it with some tortilla chips. Preheat the boiler on high flame. Pierce the eggplants all over with the help of a knife and rub them with 1 tablespoon of oil. Sprinkle salt and pepper on the eggplants. Place the eggplants and garlic cloves on a foil-lined baking sheet and place under the boiler until the eggplants are charred all over, revolving for 8 minutes, until the garlic is golden. Set the garlic and eggplants aside to cool. Remove the skin from the garlic and eggplants. Slice the eggplants lengthwise in two halves. Chop the garlic and eggplant pulp to form a coarse puree. 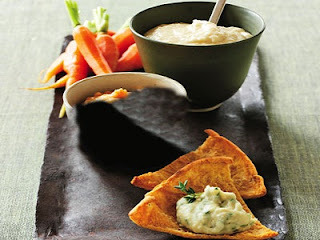 Place the puree in a large bowl and add the parsley, tahini, lemon juice and the remaining two tablespoons of olive oil. Sprinkle salt and pepper on it. Now serve it with some pita chips. Rinse and drain the garbanzo beans, then blend them. If you find the beans a little bit dry, add a few drops of olive oil or water to wet them up. After blending, place the bean mixture into a serving bowl. Add the ground cumin, chili powder, cilantro, grated garlic, red pepper, and onion mixture and lemon juice to it. 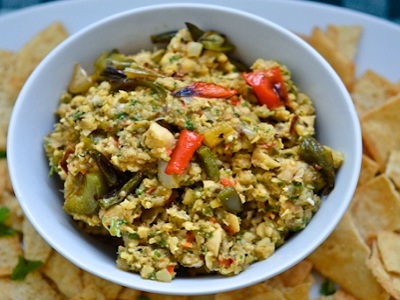 Mix well, and then serve along with some pita chips! Caramelize the onions by melting a tablespoon of margarine with a tbsp of olive oil in a pan on medium heat. Once melted and hot, add sliced onions. Cover completely with the mixture of margarine and olive oil. Stir constantly to pick up any brown flavoring that appears. Reduce heat to medium-low and spread onions out evenly along the bottom of the pan. Stir occasionally and allow cooking for ten minutes. Add a 1/2 tsp of salt to the onions and stir, then allow cooking for another five minutes. Add a 1/2 tsp of sugar (optional) and allow cooking for another 5 minutes. Reduce the flame to low and allow the onions to sit in the pan for 20-30 minutes more. This is when the caramelization happens. Stir occasionally to pick up the brown bits that start to form. Add a bit of water every once in a while to keep the onions moist. Add the caramelized onions to a bowl with half cup yogurt. Mix the chives olive oil, crushed garlic and pepper and salt to taste. Serve pretzels for a tasty and healthy treat! In a blender, process all ingredients except green onions until smooth. Add green onions. Garnish (if desired), with paprika, olive oil and additional chopped green onion. 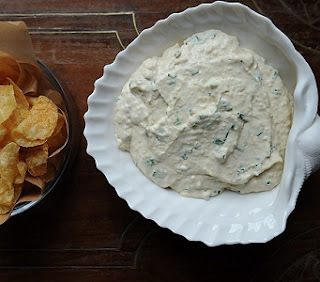 Serve the dip with pita chips or pita bread. 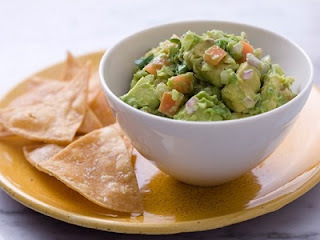 Gently fold the avocados, onion, tomato, jalapeno chile, cilantro, lime juice, cumin and garlic in a large bowl. Add salt to taste. Lay a plastic wrap sheet directly on the surface of the guacamole and refrigerate until it is ready to serve. Serve with corn chips. Puree all the ingredients together in a blender. Mix fresh chopped herbs like rosemary, thyme or parsley, if you desire. Serve it with pita chips. Mix the cucumber and salt in the bowl of a food processor fitted with a metal blade. Blend until it is pureed; strain the puree through a fine strainer and put aside. Put the sour cream, cream cheese, zest, thyme, and pepper in a bowl and stir until smooth. Add the cucumber puree and stir to combine. Cover and refrigerate until it gets ready to serve. Garnish with fresh thyme and serve with fresh raw vegetables. 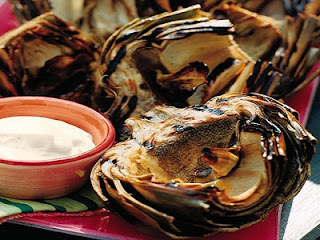 To prepare the artichokes: Fill a big bowl with cold water and squeeze the juice of a half lemon into it. Remove the stems from the artichokes, cut the pointy tips off the outer leaves, and also cut 3/4 inch from the top. Rub all cut areas with the remaining half lemon. Place each trimmed artichoke into the bowl of lemon water until it is ready to steam. To steam the artichokes: Drain the artichokes and place, stem side up, in a steamer basket over about one inch of boiling water and 1/4 cup lemon juice. Cover, reduce flame to low, and simmer until tender (for about 30 minutes). Drain and transfer the artichokes to a big bowl to cool. To grill the artichokes: Heat the grill to medium. Cut the artichokes lengthwise in halves. Scrape out the internal pink leaves and the furry choke. Toss the cleaned artichokes with the oil, pepper and salt. Now grill until golden (for about 4 to 6 minutes) on each side. 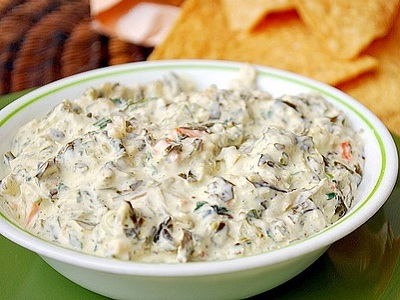 Stir the remaining mayonnaise, butter, lemon juice, and red pepper together and serve as an additional dip. Pulse water chestnuts and shallot in a food processor until roughly chopped. 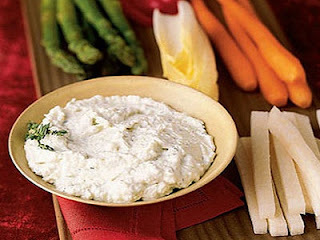 Add yogurt, cottage cheese, cream cheese, lemon juice, pepper and salt and pulse until just combined. Add chives and spinach and pulse until integrated. 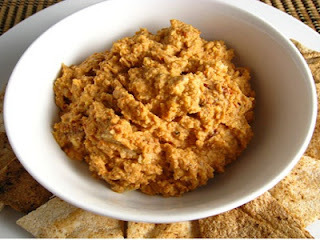 In a bowl, blend the taco seasoning mix and refried beans. Spread the mixture onto a large serving tray. Combine the sour cream and cream cheese in a bowl. Sprinkle the refried beans. 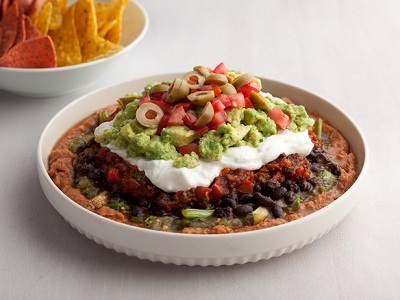 Make a layer of salsa on the top. Make a layer of tomato, green bell pepper, green onions and lettuce over the salsa layer and garnish with Cheddar cheese. Decorate with black olives.